← What Is the Blessing over Meat? The Beet-Eating Heeb is back after a long layoff, tan and well-rested. So what provoked BEH to start writing again? That is a link to the most damning, most disturbing, most important animal-related investigative story you will read this year. Yes, BEH knows it’s only January. But this is a real doozy. ICYMI, The New York Times on Monday, January 19, published a startling front-page expose about the federal Meat Animal Research Center. Let that sink in for a second. On its face, it’s absurd and offensive that the U.S. Department of Agriculture is conducting research on farmed animals for the benefit of the meat industry. Once you learn what actually has transpired at that center, you’ll find that words like “absurd” and “offensive” are far too mild. The Beet-Eating Heeb urges you to read the entire article. 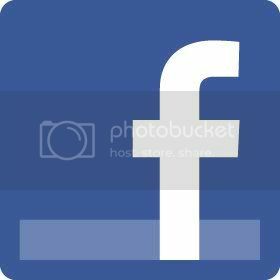 But, as a service to his time-conscious readers, he will summarize a few of the main findings. Brace yourself. Cows, which normally give birth to one calf at a time, were genetically re-engineered to have twins or triplets, resulting in an unusually high rate of still births and deformities. 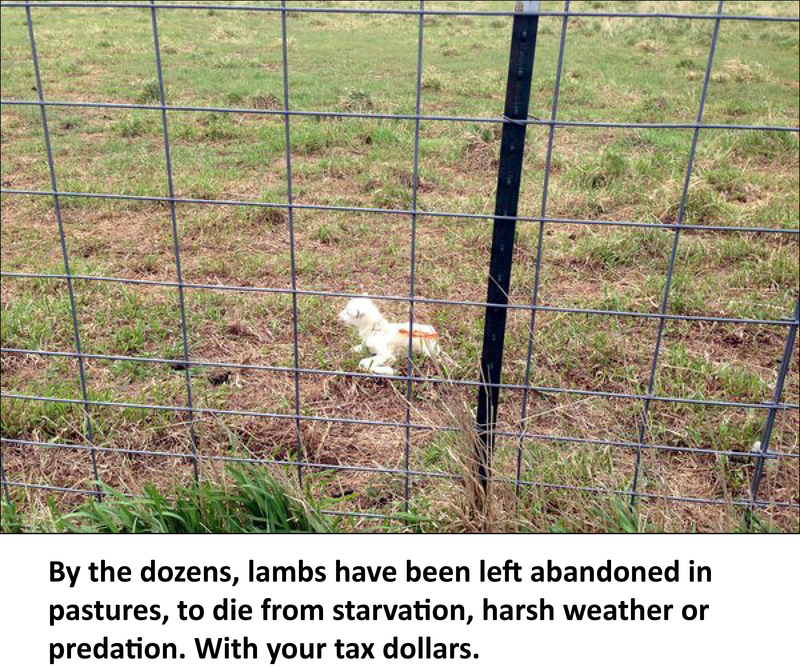 Newborn lambs were abandoned in open pastures, left to starve to death or to perish in harsh weather or in the jaws of predators. Pigs were bred to produce unnaturally large litters, resulting in the deaths of hundreds of piglets. In one case, a young female cow was placed in restraints so that a group of bulls could take turns mounting her. Her injuries were so severe that she died just hours later. All for a study on the sexual libido of bulls. This is just a sampling of the horrors that have occurred at this previously obscure center in Nebraska. Granted, the Standard Operating Procedure on America’s factory farms is not much better. But that’s private enterprise. 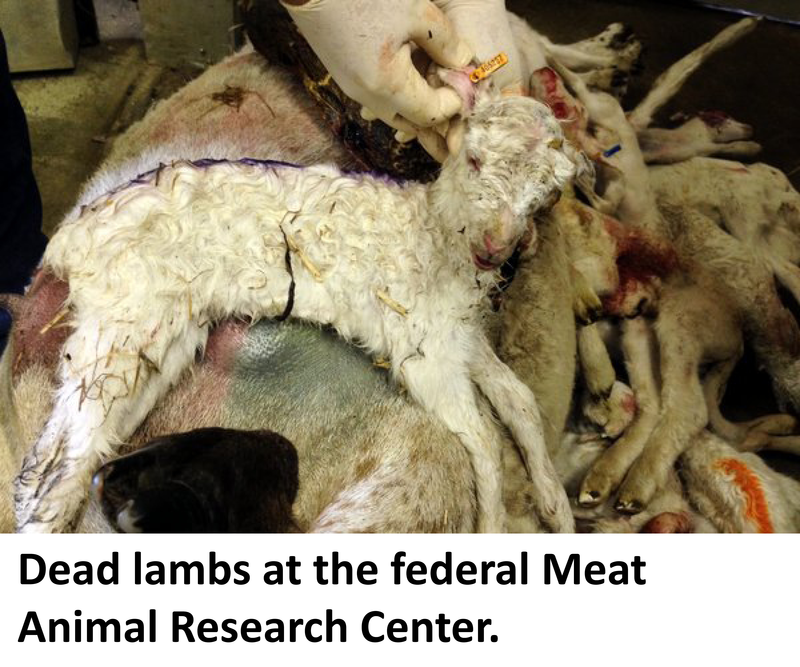 In the case of the Meat Animal Research Center, we’re talking about a taxpayer-funded, government-operated facility. This is being done in our name, with our money (if you’re an American). Excuse The Beet-Eating Heeb for pointing out that God insists we treat animals with compassion, respect and sensitivity, if the Torah/Bible is any indication. In Jewish terms, the Research Center’s activities blatantly violate Tzaar Baalei Hayim, the prohibition against causing unnecessary suffering to animals. It’s the heartless treatment of the little lambs that really gets to BEH. In our religion, the two greatest leaders in history, Moses and King David, were chosen by God because of the compassion they each showed for sheep in their care. U.S. Agriculture Secretary Tom Vilsack, in response to The Times’ article, has ordered his staff to produce an updated Animal Welfare Strategy within 60 days. The new strategy is to include the creation of an independent panel to review research practices, according to a Reuters report. Sorry, Tom, but this tepid, bureaucratic response is wholly inadequate. Nothing less than the immediate and permanent closure of the Center will suffice. Something is rotten in Denmark, or Nebraska. If the people running the Research Center don’t care about the well-being of the animals there – and they obviously don’t – then the problems will resurface. The vegan-advocacy/animal-rights community has taken notice. By The Beet-Eating Heeb’s count, at least four petitions and action alerts were in circulation within 72 hours of the appearance of the Times story. But there is a real danger, even a high probability, that this issue will fade from our consciousness by the end of next week, if not sooner. Sustained pressure must be put on Secretary Vilsack, President Obama and Congress to do the right thing and pull the plug on the Research Center. BEH would love to see our government leaders try to defend the continued existence of that hellhole. It cannot credibly be done. You don’t need to be a vegan or vegetarian to get this one. What the Times’ reported will shock the moral conscience of all but the most hard-hearted people. Respond to one of the Action Alerts. BEH recommends this one. Call the White House, your Senators and your Congressional representative to demand the immediate closure of the Research Center. Educate people by submitting a guest op-ed to your local newspaper, by posting the Times’ article or this blog post on your social-media feeds, and by telling your friends, family members, neighbors and co-workers about this situation. Finally, counteract this horrible misuse of your tax dollars by donating generously to nonprofits that are working to end the exploitation of farmed animals. If you’re Jewish, BEH suggests you join Jewish Vegetarians of North America. You know if The Beet-Eating Heeb is back at it again, that this is a serious issue. Will this shameful Research Center be allowed to continue its sadistic experiments or be mercifully shut down? The answer may well depend on us. Posted on January 25, 2015, in Factory Farming / Animal Cruelty and tagged Department of Agriculture, Meat Animal Research Center, New York Times. Bookmark the permalink. 4 Comments. This is new? No. This government in my view, is as corrupt as any under the guise of being civilized. OUR TAXES fund many hideous forms of animal atrocity through Farm Bill subsidies, NIH animal research, and other abominations. People wonder why I am OUTRAGED!!!! I wonder why they’re not and why this so called “free” press is pathetically SILENT and distracts on news of corruption elsewhere. It’s good thee NY Times had the story and willingness to publish it. Tip of a rotten iceberg that began long ago when humans began the holocaust on animals prior to adopting these behaviors that were then used on other human victims. Thank you for helping to bring such a horrid operation under the light of scrutiny. I hope we will all do our part to shut it down.